Goal to drive online sales. 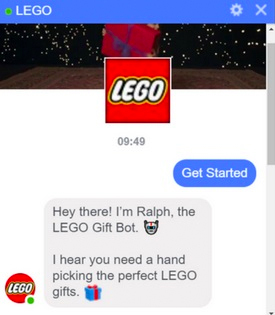 The Danish toy giant saw a 6X return on ad spend in certain markets after launching Ralph—a friendly bot for Messenger that offered people gift suggestions. Christmas time is the most important time of the year for toy manufacturers. 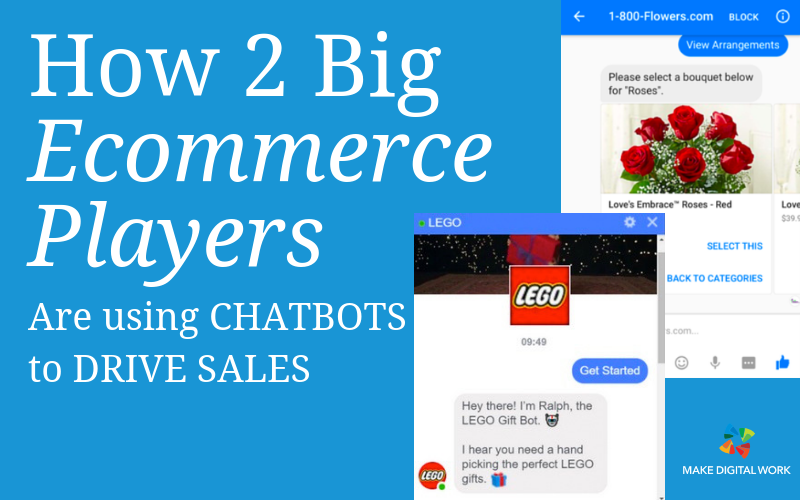 LEGO sought to boost online sales during this competitive period by offering consumers gift recommendations that would guide them through the company’s vast back catalog, using a chatbot to create a connection. They launched a bot for Messenger that asked consumers a series of simple questions to help guide them through the company’s catalog of toys. Playful GIFs and specific prompts resulted in, appropriate gift recommendations that people may not have discovered simply by searching on the website. The bot for Messenger helped indecisive Christmas shoppers and gave people greater confidence to make purchases, and by offering people codes for free shipping they helped them buy. To ensure it reached its target audience, LEGO used paid optimization and targeted ads to people who had previously engaged with LEGO holiday campaign videos. 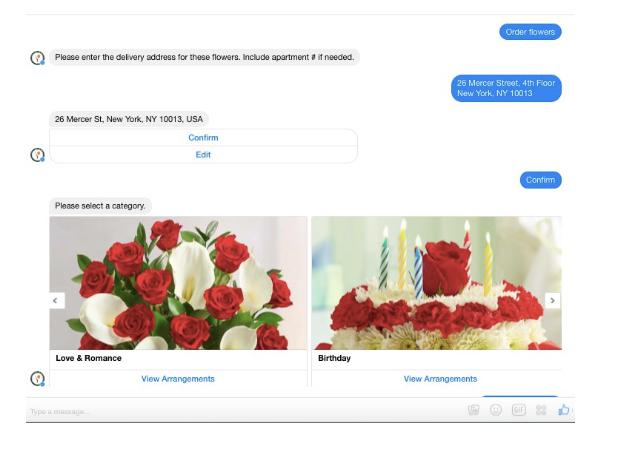 1-800 Flowers bot helps users to send flowers and gifts to any address of their choice. It even offers suggestions and prompts to select flowers on the basis of the event. This helps in finding out a gift suiting your requirements and it sends out shipping updates. Chris McCann, president of 1-800 Flowers, says that over 70 percent of the company’s chatbot orders have been from new customers. As early adopters, these users skew younger than its usual audience. But McCann said he was surprised at how comfortable users were with using a bot. “Most customers, especially millennials, would rather interact with a robot than a human,” he said. But 1-800 Flowers has found that users need clarity about when they are speaking to a bot. To combat this, humans who arrive in Messenger will introduce themselves and sign all messages with their names.